The 1776 Series features UL Listed security, increased fire protection and Liberty’s new high security 4 inch locking bars! 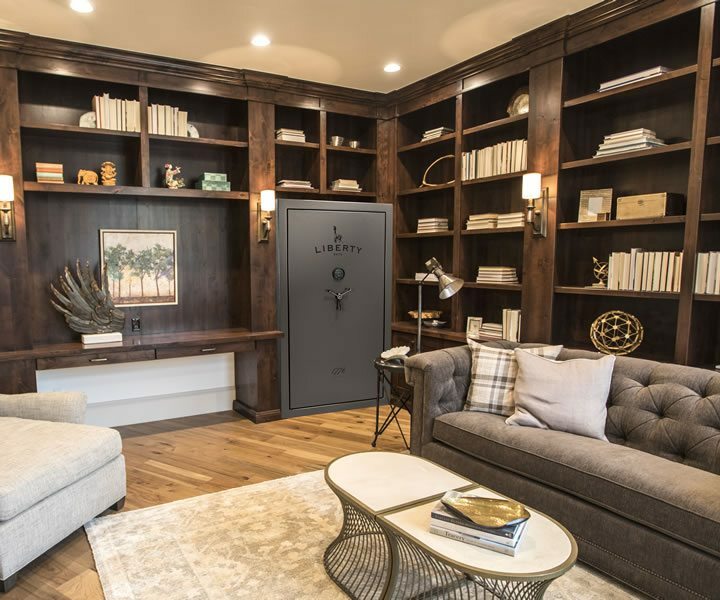 Built with our beautiful and durable gray marble powder coat finish, each safe is installed with SecuRam’s new TopLit electronic lock and revolutionary 3-in-1 Flex interior. In the spirit of tradition and security, your valuables will be protected for the next generation. In the spirit of tradition and security, the 1776 Series features UL Listed security and a boost in fire protection. 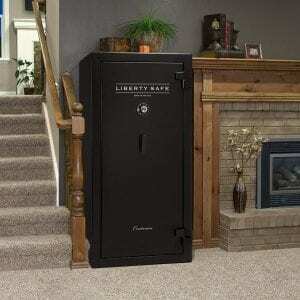 This gun safe with 1 hour fire rating also includes Liberty’s high security 4 inch locking bars, thicker 11 ga. steel body, and accessory door panel for more storage options. Currently, there are two models to choose from, the 64 and the 72 inch tall 50 size models. 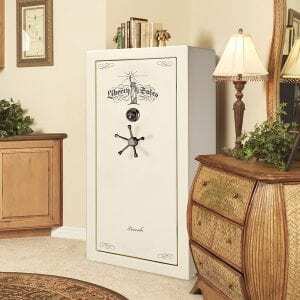 These safes for home use come in our durable gray marble powder coat finish and 3-in-1 Flex interior, holding up to 64 long guns. Our new quick access SecuRam TopLit electronic lock comes standard and offers 1 million different combinations. 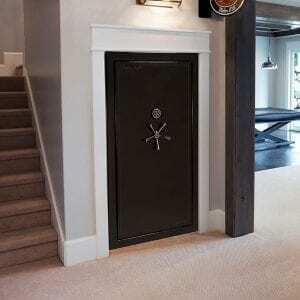 With the 1776 Series, you’ll have all the freedom you need to protect your valuables.